Texas high school cheerleader Ariel Olivar impressed and baffled the internet with her invisible box trick. Tons of outlets wrote about it, usually marveling at the difficulty of her accomplishment. 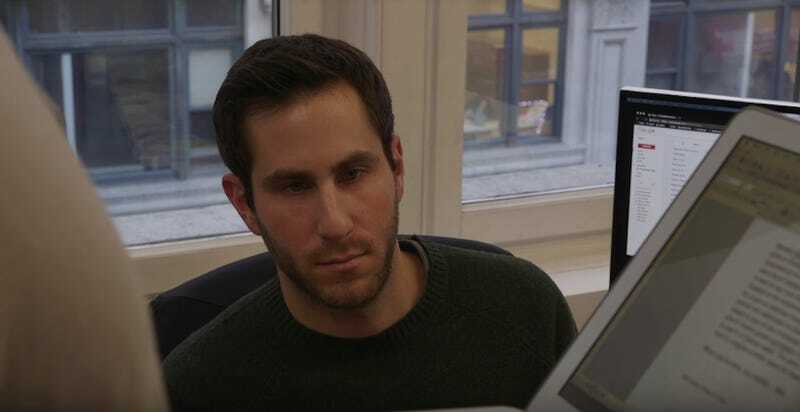 Barstool Sports editor-in-chief Keith Markovich thought it was worth noting something else. I spoke with Darby Angeles Cruz, who said she hadn’t read the article but confirmed that she defended her daughter to people who left “obnoxious” comments and claimed Olivar was 18. “I’ve learned though to stop responding to all of these people because it’s absolutely tiring,” Cruz said. Since I started working here 8 years ago our policy has been the same. If a girl asks to be taken off the website, we take her off the website. Maggie asked if we could please take the post down. Gaz forwarded me the screenshot, I clicked over and moved it to Drafts and went back to writing something else. Looking at the timestamps that was at 12:30 PM. Apologies for calling this cheerleader hot, it’s 2017 we don’t do that anymore, especially not without their tumble and pyramid and pom pom stats. It feels like Markovich missed the point of why it’s weird to call a 16-year-old high school student hot. (Markovich didn’t reply to a request for comment, so his thoughts and editorial process remain opaque to us.) Eventually, it seems, someone gave him an explanation, because his half-apology was removed, and now all that’s left is a bunch of comments calling Markovich weird and a post that would have been unremarkable if someone had actually edited it in the first place. Update (Dec. 8, 10:05 a.m. ET): In an email sent last night, and a followup this morning, Markovich wanted to tell his side of the story. According to him, he wrote, “Apologies for calling this cheerleader hot, it’s 2017 we don’t do that anymore, especially not without their tumble and pyramid and pom pom stats,” when he had still thought that the 16-year-old cheerleader he believed to be hot was 18, and not after publication. Markovich said the sentence, “Apologies for calling this cheerleader hot, it’s 2017 we don’t do that anymore, especially not without their tumble and pyramid and pom pom stats,” was removed from the post after he learned that the 16-year-old cheerleader he believed to be hot was actually 16.